MELBOURNE, 12 October: Hon. 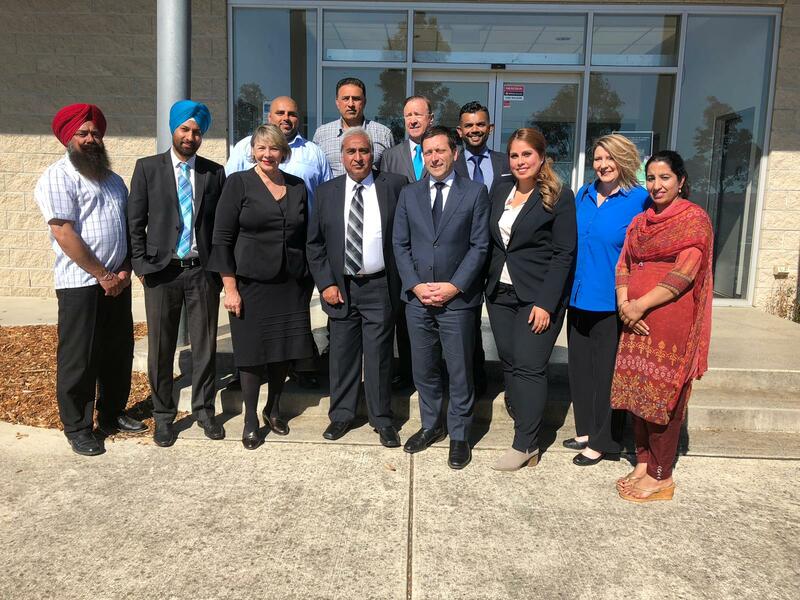 Matthew Guy MP Opposition Leader of Victoria with his south east team made Sikh Community announcements as follows today, according to the Liberal Party. 5. Johr Mela Baba Budha Sahib Pakenham announcement – $100k cultural and sports event. 7. 200k for upcoming celebration in 2019 of 550 Birthday of the First Sikh Guru Nanak dev Ji. This Grant is for the Sikh March from Parliament to the Federation Square. These announcements are being seen in the context of the upcoming Victorian State elections next month and the recent announcement by the Minister for Sports John Eren announcing $ 100,000 events package to assist with the staging of the 32nd Annual Australian Sikh Games – the premier sporting and cultural event of the Australian Sikh community.